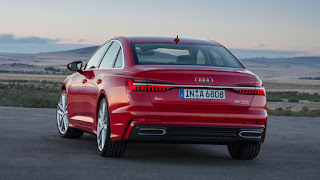 2019 Audi A6 launched with insane tech! 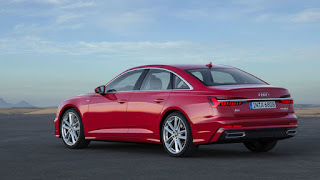  Home  Audi  Luxury  Sedan  Speed  2019 Audi A6 launched with insane tech! The all-new 2019 Audi A6 makes debut with some very interesting features borrowed from the bigger brother and more advanced A7 and A8. It's a very sporty sedan, small, compact and futuristic. So far, the new A6 is my best year opening vehicle of 2018! The Audi A6 is currently in its eighth generation, more rugged and stylishly-designed to fit in today's modern world. Both headlamps and tail lights are outstanding with horizontal-vertical LED strips running through them. The dual exhaust ports are something I really like in Audi cars. 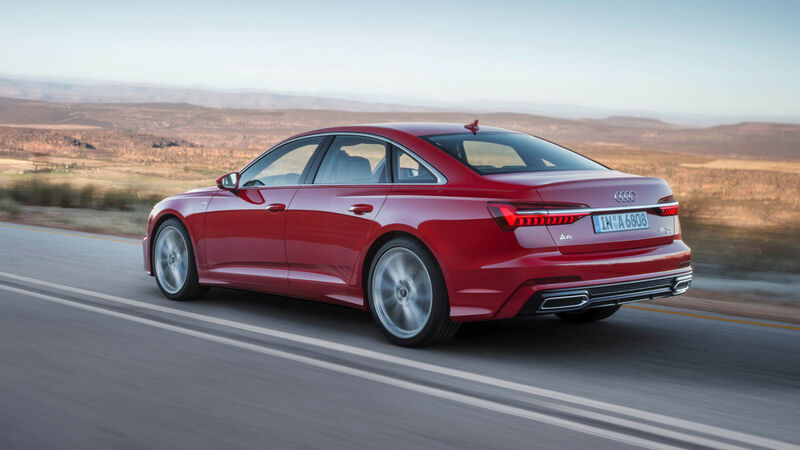 Good enough, the new A6 also comes with rear air conditioning vents and climate control for rear passengers. These are features which are hardly incorporated into small sedans but only found in high-end luxury big cats. The interior is just a smaller sequel to the A7 with a 10.1-inch infotainment screen with touch-sensitive buttons on the center console. There is also the optional parking pilot and garage pilot from Audi which allows the car to autonomously navigate in parking spaces or garages. As part of the launch in the European markets, Audi offers the new Audi A6 with two powerful, smooth engines - one diesel and one gasoline unit. 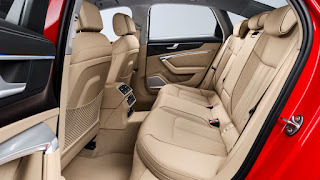 The gasoline unit (combined fuel consumption in l/100 km: 7.1 - 6.7 (33.1 - 35.1 mpg); combined CO2 emissions in g/km: 161 - 151 (259.1 - 243.0 g/mi)) is a 3.0 TFSI. 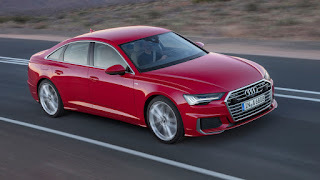 The V6 turbocharged engine accelerates the business sedan from 0 to 100 km/h (0 - 62.1 mph) in 5.1 seconds with 250 kW (340 hp) and 500 Nm (368.8 lb-ft) of torque; the electronically limited top speed of 250 km/h (155.3 mph) is a mere technicality. The 3.0 TDI with 210 kW (286 hp) produces similar performance (combined fuel consumption in l/100 km: 5.8 - 5.5 (40.6 - 42.8 mpg); combined CO2 emissions in g/km: 150 - 142 (241.4 - 228.5 g/mi)), it delivers 620 Nm (457.3 lb-ft) of torque to the crankshaft. While the 3.0 TDI is paired with an eight-speed tiptronic, the 3.0 TFSI is coupled as standard with a seven-speed S tronic.